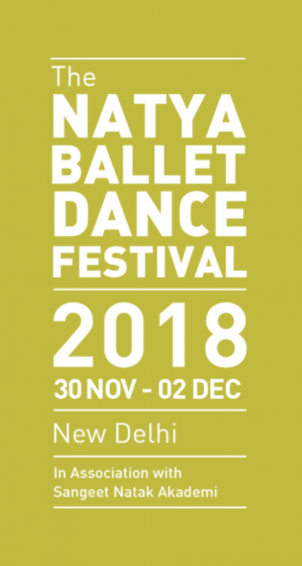 Ananya Dance Theatre will participate in three dance festivals as part of its first tour to India, November 22-30, 2018: Aavejak Avaaz, New Delhi; Pragjyoti International Dance Festival, Guwahati; and Natya Ballet Dance Festival 2018, New Delhi. The tour happens on the heels of October performances at the Bethlehem International Performing Arts Festival, Palestine, and Virginia Commonwealth University, Richmond. The festival title, “Aavejak Avaaz,” is a two language title with the first word coming from Hindi and the second from Urdu to reflect the syncretic society that India has been. The festival is presented by the Kri Foundation. The film will be presented in the Gulmohar venue at Habitat World, India Habitat Centre, Lodi Road, New Delhi, Thursday, Nov. 22, 7pm. This film is presented by the Kri Foundation. Ananya Chatterjea is an internationally known feminist, a social justice warrior with a sharp mind and eloquent voice. Her work is both reflected as academic research and dance practice. She is committed to collaboration and community to take on the challenges facing the world. She dedicates this work, especially her solo section in it, to little Asifa. 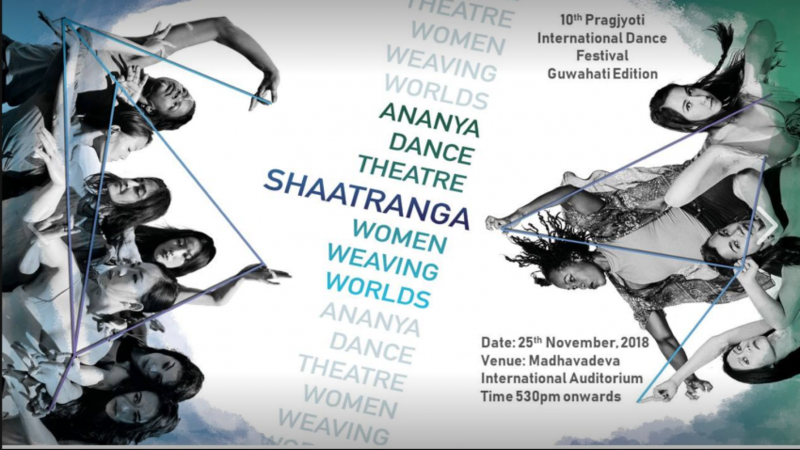 Ananya Dance Theatre will present “Shaatranga: Women Weaving Worlds” in Stein Auditorium at the Habitat World India Habitat Centre, Lodi Road, New Delhi, Friday, Nov. 23, 7:30pm. Doors will open at 7:15pm (entry from Gate 3). Free and open to all. For queries: email krifoundation.aavejakavaaz@gmail.com. “Shaatranga” was commissioned by The O’Shaughnessy at St. Catherine University with support from the Joyce Foundation. This performance is presented by the Kri Foundation. Ananya Dance Theatre’s performance is supported by the Ford Foundation. Pragjyoti International Dance Festival (PIDF), an annual classical dance extravaganza in Guwahati, Assam, India, organized by Kalpa, a Society for Promotion of Literature, Art, Culture and Social Harmony, is celebrating a decade of its cultural journey this year. On Nov. 25, the curtain raiser of the 10th PIDF will be held at Madhavadev International Auditorium in Srimanta Sankardev Kalakshetra, Guwahati. The curtain raiser will feature internationally recognized Ananya Dance Theatre, a contemporary Indian dance company based in the Twin Cities of Minneapolis and St. Paul, Minnesota. The group is composed of artists of color who create performances about the lives and dreams of women around the world. Ananya Dance Theatre will present “Shaatranga: Women Weaving Worlds.” The production was commissioned by The O’Shaughnessy at St. Catherine University with support from the Joyce Foundation. The Guwahati edition of the Festival will be in collaboration with the Kri Foundation. Ananya Dance Theatre’s performance is supported by the Ford Foundation. In the second edition of The Natya Ballet Dance Festival, a host of accomplished and distinguished artists will reflect the myriad paths of dance in film, choreography, and experimental theatre, delving into the role of dance in narrative. Ananya Dance Theatre will present a master class, 10:30am-1:30pm, Friday, November 30, 2018. The class will be held at the Meghdoot Complex, Sangeet Natak Akademi, Mandi House, New Delhi. The master class is presented by The Natya Ballet Dance Festival 2018 with Sangeet Natak Akademi.